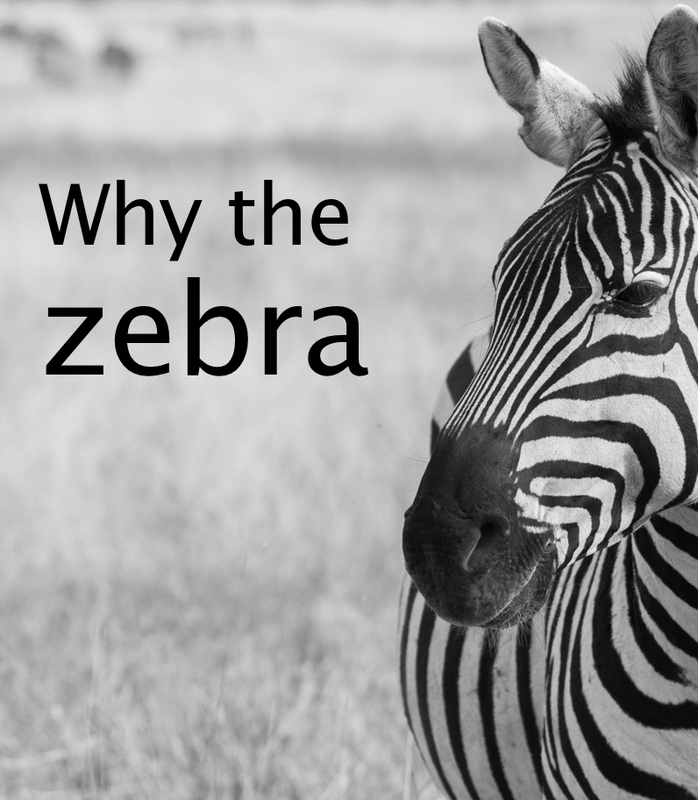 Diary of a Zebra: Why the Zebra? 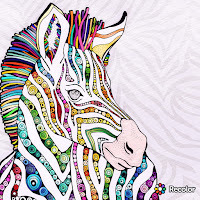 I'm often asked "Why the zebra?" 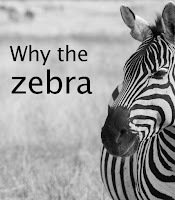 Why is my blog called 'Diary of a Zebra'? 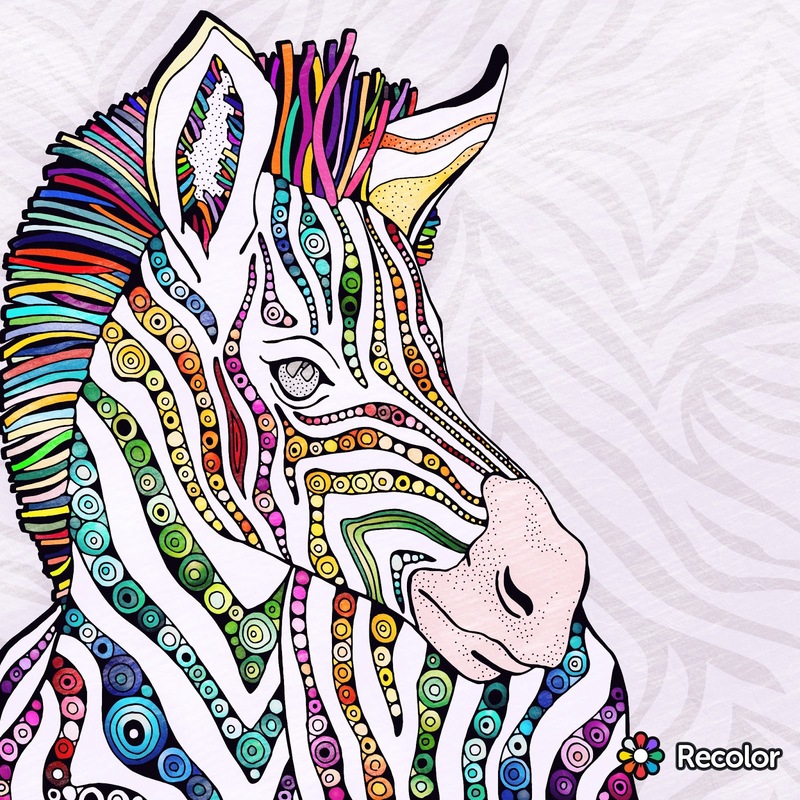 Well, medical students are taught "When you hear hoofbeats think horses, not zebras", meaning to look for the most obvious and common reason for a person's symptoms. Such if a person presents with fatigue they check the person's iron levels, white cell count etc - looking for that horse - the common cause for the person's symptoms. "We are a rainbow of possibilities"
However when no common reason can be found, often frustratingly years later, medical professionals start to look at the rarer possibilities behind a person's symptoms. 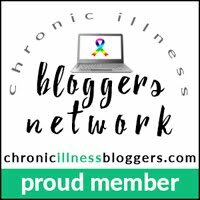 It can be a very lonely, frustrating and difficult journey with many let downs and in one cases being misdiagnosed until you finally get the right diagnosis. But like zebra's, rare illnesses do exist. Zebra's might look similar at first glance but thing a closer look, we like a zebra's markings, are unique. And like with a zebra's stripes no two cases are the same even among those with the same diagnosis. 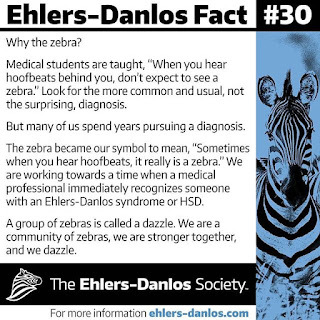 So those with rare and conditions, like myself, we are referred to as 'Medical Zebra's'.